Those looking to take a private jet from Las Vegas will find that Hawaii does not have the immense heat of Sin City nor the dry conditions. This is particularly true for those that wish to visit in the winter when average temperatures drop to about 78 degrees Fahrenheit and the islands become quite rainy. Monsoon season runs from June to November, although Hawaii rarely sees big storms. The months of April, May, September, and October consistently bring the best weather to the islands. Many people flock to Hawaii every year to enjoy the beautiful swells of the ocean. When to come out to surf, and where to go, both depend on the surfer’s skill level. The north shores of any island see the biggest waves during the winter months. Those really looking for a challenge will find the biggest of them all on Oahu’s North Shore. From May to September, the waves are relatively calm, which is great for beginners interested in a picking up surfing for the first time. The south sides of the islands, such as Waikiki on Oahu, also have waves perfectly suited to beginners any time of year. Surrounded entirely by water, there is a spot to snorkel around nearly every corner and lots to see once underwater! Snorkeling is possible throughout the entire year on any part of the islands, but summertime really is best. The longer days and warmer water make snorkeling even more enjoyable. Those that wish to make snorkeling part of their trip should plan on visiting the Big Island or Maui, as these islands are not as affected by the eastern trade winds. Kauai, an island that sees plenty of rain year-round, is less ideal for snorkeling as the rain reduces visibility in the water. Humpback whales make the trip to Hawaii from Alaska annually, typically from December through April. The best time to catch a glimpse of these majestic creatures is between late February and early March. Maui’s western shores and the islands of Molokai and Lanai are the best viewing spots from the shore, although every island has boat tours for those that want a closer look. 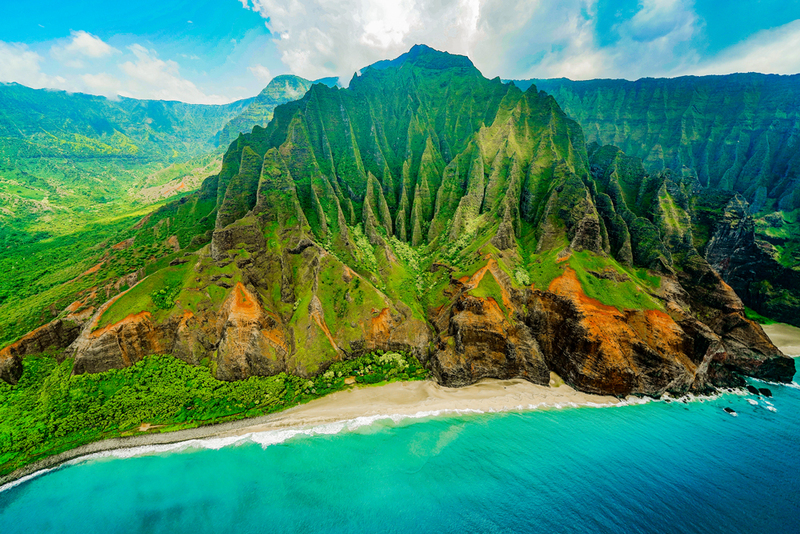 There is a lot more to see in Hawaii than just marine life. On the Big Island, Kilauea continuously erupts and has been for over three decades. The only determining factor when choosing when to view the volcano is the weather. Temperatures in the higher elevations can drop to as low as 46 degrees Fahrenheit in the winter. To stay comfortable, visiting in the summer is best. No matter the time of year, most people can’t wait for their Hawaiian adventure to begin. Flying on a private jet in Las Vegas is great for those that just can’t wait. These jets are faster than commercial airlines, and let you arrive in style. Once you land, you’re actually refreshed and ready to start your vacation! If you’d like to learn more about booking a private jet Las Vegas, contact Cirrus Aviation today at (702) 472-9714 or fill out our online form to learn more. Once you travel by private jet, you’ll see it’s the only way to fly.